Mumbai, India: BBC Worldwide today announced a deal with Amazon that will give Amazon Prime members in India access to more than 600 hours of award-winning and popular factual and pre-school content from the BBC. 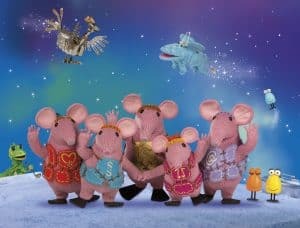 Indian subscribers to Amazon Prime Video now have access to CBeebies programmes never before broadcast in India – including Clangers – about the Clangers, pink, long-nosed, inventive and lovable mouse-shaped creatures who live on a little blue planet, out in the starry stretches of space, not far from Earth; Dinopaws – an animation series about the delightful adventures of a trio of very young, inquisitive dinos; and Hey Duggee, the animated series narrated by award-winning comedian Alexander Armstrong which features Duggee the pooch and his after-school club. 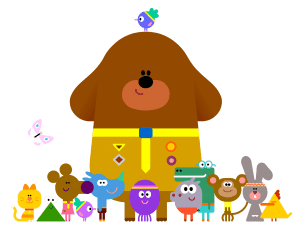 Hey Duggee most recently won the Pre-School Animation of the year at the most 2017 BAFTA Children’s Awards. Subscribers to the service are also able to watch award-winning and highly rated BBC factual programmes including Gandhi, The World’s Weirdest Weapons and The Genius of Inventions. Gandhi is an in-depth look at the life of the ‘Father of a Nation’. 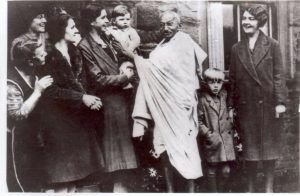 It is the first definitive series on the life of Gandhi, examining his relationship with his wife, his controversial views on race and his role on the path to Indian independence; The World’s Weirdest Weapons explores the stranger side of warcraft – where the jet pack, the inflatable rubber plane, and the pigeon guided smart bomb, even a cat that eavesdrops on the enemy are some of the top secret devices designed to the give the West the edge against its enemies in World War Two and the Cold War; and The Genius of Invention, in which Dr Michael Mosley and his team explore 12 inventions how they have changed the way we live our lives. They explain how these inventions came about – from sparks of genius to steady incremental improvements hammered out in workshops – and separate myth from reality in the lives of the great inventors.